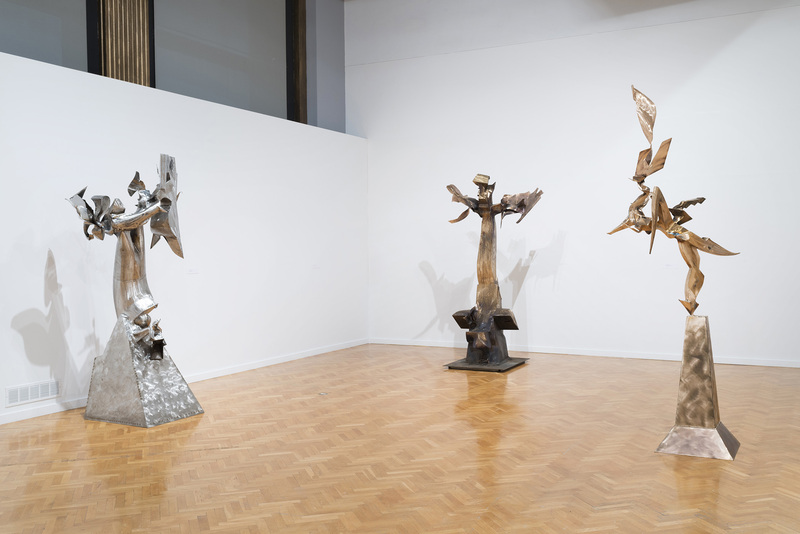 Two concurrent exhibitions at the Museum of Contemporary Art and the Chicago Cultural Center crown the sculptor Richard Hunt’s eightieth year. 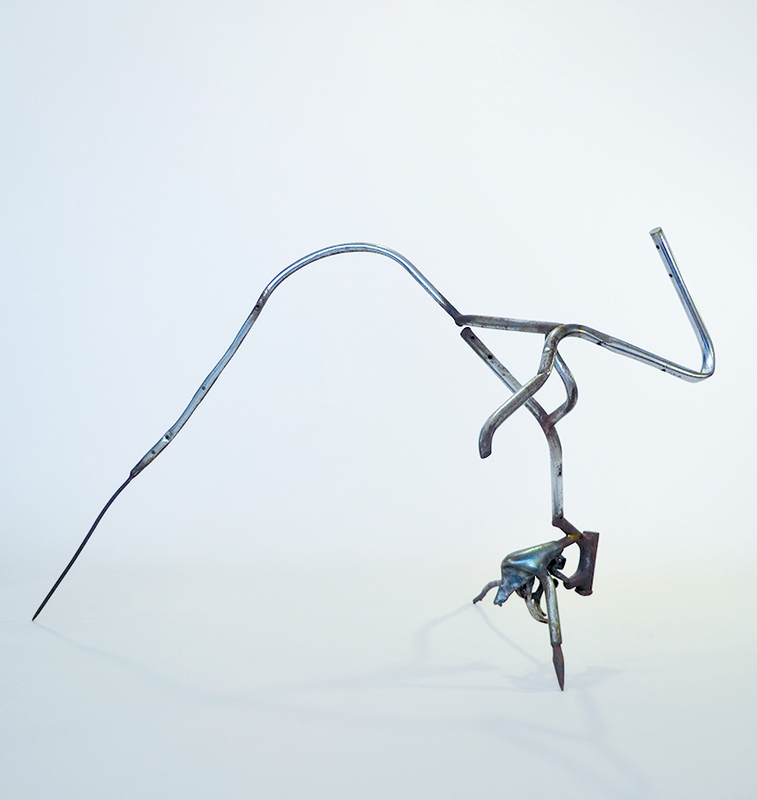 To date, Hunt has produced more public sculpture than any other artist in the United States, with 125 currently on view, thirty-five of which are in Chicago. 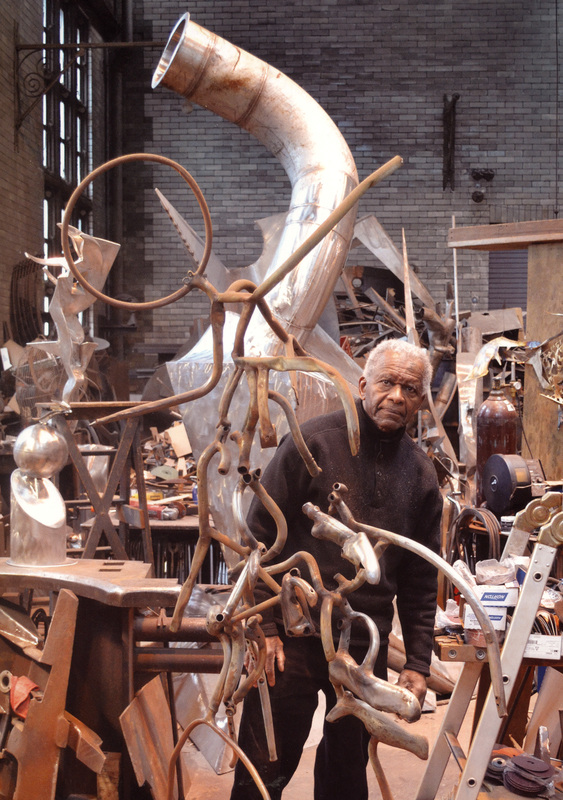 Hunt completed his studies at the School of the Art Institute of Chicago in 1957 at a time when other black artists were scarce and the approach to welded metal sculpture Hunt had started to pursue wasn’t supported by the school’s studio facilities. Footage playing at the Cultural Center’s exhibition shows a dashingly handsome young Hunt setting up shop in his parents’ basement. By 1971 he had been honored with an exhibition at the Museum of Modern Art, and his diligent efforts have been continually rewarded throughout his career. Taken together, the exhibitions offer audiences examples of early investigations, to-scale maquettes for larger outdoor commissions, and a breadth of two- and three-dimensional works that ground flighty abstractions in a gravitas tempered by the struggles and victories of modern life. From the start, one sees Hunt aligning his artistic pursuits with a powerful shift in industrialization at the end of the 1950s. The MCA’s exhibition curator Naomi Beckwith says, “He stays very much married to using materials that are part of our lives as industrial beings. That says a lot about what happened in the U.S. after the Second World War… and it says a lot specifically about Chicago, a city whose fabric is built on industry work. Heavy metal, really.” This can be seen in an untitled figurative work from 1958 at the MCA rendered in a collage of sourced metals that bear stamped patents from manufacturers in Detroit. “Farmer’s Dream,” 1980, lurches forward proudly in the MCA’s central hall after previously appearing on the lawns of the White House during the Clinton administration. Coming from a generation of African-American artists for whom abstraction was often fraught territory—when abstraction by black artists was accused of docility, a submissive way to participate in art while seeming to ignore one’s own cultural particularities—Hunt develops forms that are not as explicitly figurative as his early work, but nonetheless bears thoughtful allusions to black struggles in America. “If you look closely—especially at works like ‘Farmer’s Dream’—you see things like plows and farming implements. These are things that speak to an African-American agrarian past,” observes Beckwith, who said that Hunt’s means of representation and figuration drew her to this work. Here and elsewhere, even the most twirling lyrical forms taper into talons. Exhibitions continue at the Chicago Cultural Center through March 29, 78 East Washington; and at the Museum of Contemporary Art through May 17, 220 East Chicago. A panel discussion with Hunt will take place at the MCA on January 29, at 6pm, and a conversation at the Cultural Center on February 26, at 6pm.